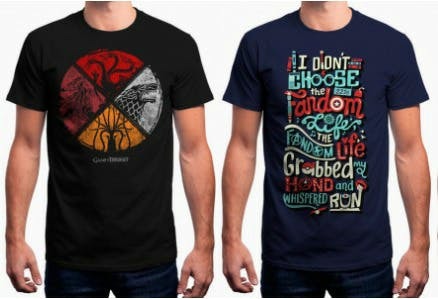 Red Wolf is one of the many online shopping portals where I buy most of my pop culture-inspired tees. These guys have official merchandise of popular TV shows, anime, and movies. For instance, for a Breaking Bad series fab like me, you'll find a lot of Walter​ White and Jesse Pinkman tees. They also have awesome tees for DC and Marvel fans as well. And if you're a fan of Batman or Superman or both, there's a separate section. Even Captain America and Iron Man have their own section. They have posters, notebooks, and the likes, but they don't compare as well with the cool tees you can buy. They have discounts running every now and then, so be sure to keep the website bookmarked for early bird offers. They also cool stuff such as boxers, hoodies, laptop skins, and super-awesome badges to pin on your backpacks, jeans, tees, and wherever you fancy. Oh, and yes, they have stuff for girls as well.